With the one year anniversary of STASIS and the release of our next (smaller!) game CAYNE we announced our next project! 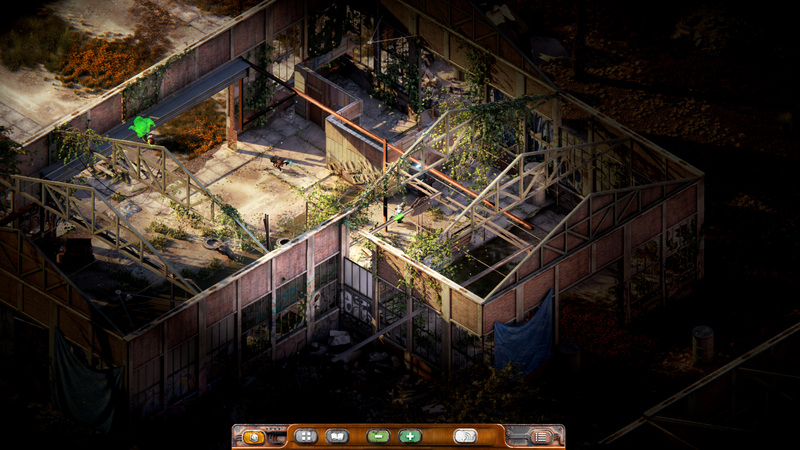 BEAUTIFUL DESOLATION is a post apocalyptic adventure game set in our back yard. Nic and I have wanted to do a post apoc tale in Africa for almost as long as Stasis has been in production - so it seemed fitting that this should be our next major project! South Africa has some of the most beautiful and inspiring scenery on planet earth - and not many games take advantage of the incredible colour pallet we have at our disposal. And for good measure - our latest trailer for CAYNE also went up at the same time! Wow Chris; this looks and sounds fantastic! Very looking forward to this one! WOW! The games look amazing! I would love to play an African Apocalypse game! Good luck with development of the new title and I hope that CAYNE will be successful! Im enjoying this as a theme to explore artistically! I'm feeling super strong nostalgia for Fallout 1 and 2 when I look at this. 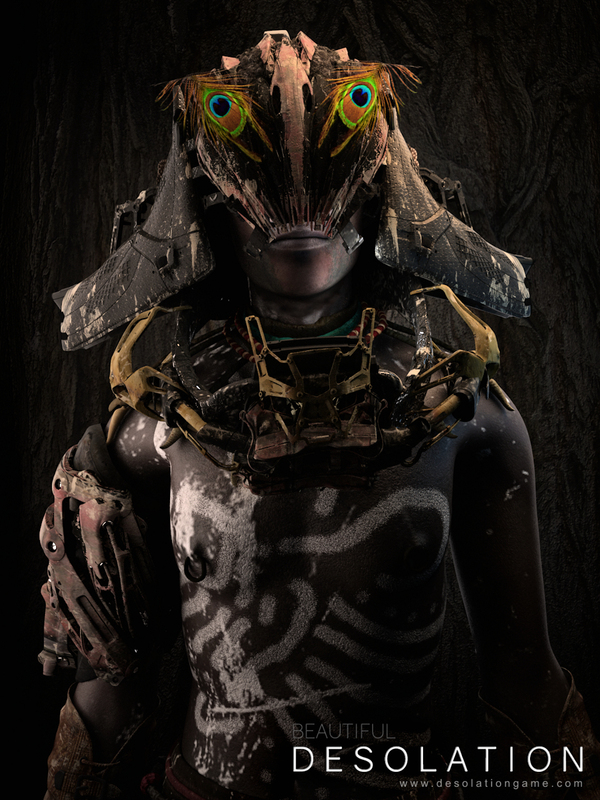 I mean that experience of being a tribal but in a post-apocalyptic future which, I felt, really set the fantasy in those games apart. Oh - any nostalgic feelings about Fallout are welcome! 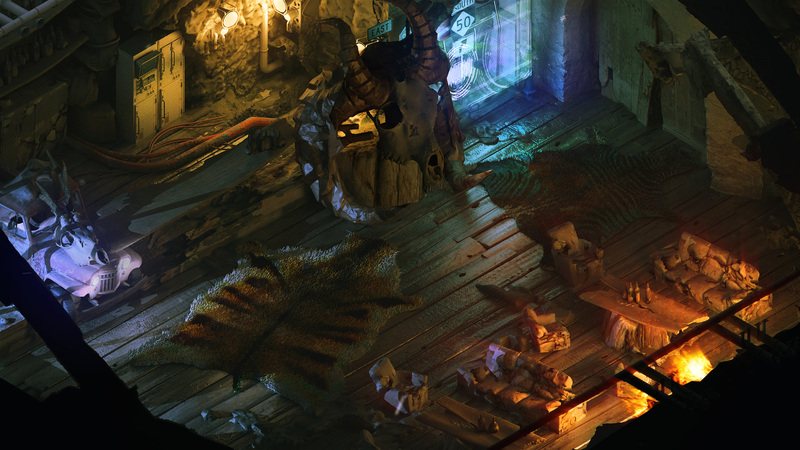 That game is the one that ignited my love of isometric art! 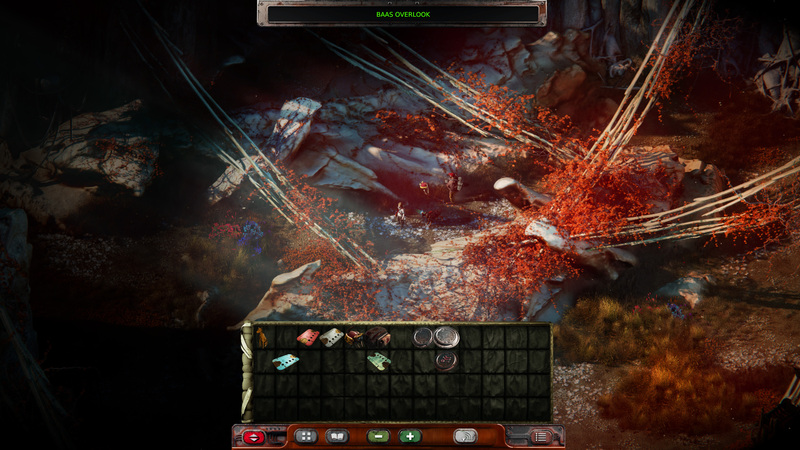 Getting to work on Wasteland 3 is a crazy dream come true. One of the big drives we are trying to get to in Desolation is exploring a more unknown post apocalyptic world. I loved both Fallout 3 and 4, but they did feel very 'familiar' when I compare it to my emotions of exploring Fallout 1 and 2. Hopefully Desolation will bring back some of those feelings. I think you've hit the nail on the head with regards to the difference in fantasy between the first two Fallouts and the last two (in that the stories of recent ones feel easier to compare to other games). Although it's hard to imagine playing Fallout 3 without having been familiar with the universe. 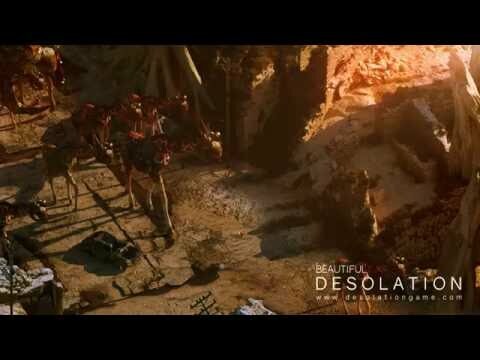 So here is a teaser trailer for BEAUTIFUL DESOLATION. We are launching our Kickstarter next week (January 24). Was that Table Mountain? Sold! This is looking great, keen for the final result! There are a lot of 'South Africanisms' in the game. :D If you take a look at the robots gun in the opening shot there is also a little Easter egg. Geez you guys are machines! This looks breathtaking. Good luck with the KS. ... for being too damn awesome! Our work on CAYNE and Desolation being simultaneous is a grand experiment! Im also interested to see how much traffic is driven from one project to another. There is also the huge amount of traffic that comes from YouTube lets plays - which are more likely to play a complete game than a demo - and with how we are going to market it we are hoping that when CAYNE is mentioned, so is Desolation, and visa versa. So far it seems to be working - with any forum post and article that talks about Desolation finishing up with a mention of CAYNE. So many Kickstarters start to dip after the first few days and rise a little in the last. Its a reverse stegosaurus that we are hoping to turn into a flat line. Are you planning to release CAYNE in the middle of the campaign? Or simultaneously? I'm mainly thinking about that U-shaped graph that backers typically follow, whether it's better to maximise on one of the peaks, or to try to create a more consistent presence through the trough. Oh, re-reading your reply it looks like you're releasing in the middle of your campaign then? Suuuper interesting. We are releasing on the same day - with the STASIS backers getting it a little earlier. The kickstarter 'blowout' tends to happen on day 1 with a but of a squiggle and then a downward dip. We're hoping that having a game released on the same day will even out that dip into more of a straight line, as people tend to play games over a period of time. They may download it when its out - they will only play it during the month. Lets Players as well will take a few days/weeks to get around to it. Its this 'delay' that I think will even out the dip. We are running (very unobtrusive) advertising in Cayne - so during the month if you play the game there will be a reminder that the Desolation campaign is running. Have you considered offering special content in Cayne or even in Stasis to backers of Desolation? I realize these games don't necessarily lend themselves to easy content addition, being narrative driven, but perhaps there's some way to add a hidden room accessible through a code provided to backers or something? Possibly even directly accessible from your game menu? What we have done is created a DELUXE version with some extra goodies, ie, soundtrack, wallpapers etc. And we are including that in some of the reward tiers. We have also added that to the CAYNE page as an addon - let's see what it does. STASIS sold insanely well on GOG, in fact it was one of their best sellers for 2016 which got us featured in December. They don't do free games and as a result arnt really interested in CAYNE. I am going to badger them and hopefully at some point they include it. This ties us into Steam unless we host a torrent or direct download. Let's see what works. They don't do free games and as a result arnt really interested in CAYNE. I am going to badger them and hopefully at some point they include it. This ties us into Steam unless we host a torrent or direct download. Let's see what works. If that doesn't work out, perhaps you could integrate it directly into STASIS, just for your GOG build? 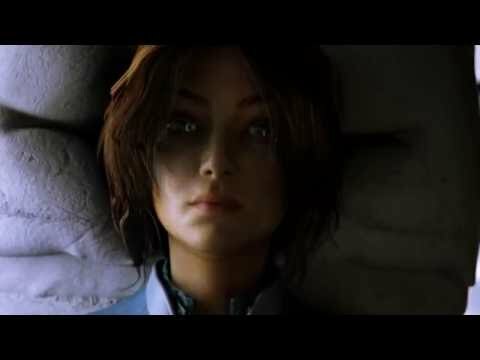 Perhaps add something to the STASIS game menu to open up CAYNE? So it would be come an update bonus for your existing owners, and a bonus to encourage new purchases of STASIS? Hopefully you get alot of Kickstarter success. Looking at the overwhelmingly positive comments on your Kickstarter, your community really loves the heck out of you. That speaks really well of you as a solid example for others to follow :) Good luck on the campaign! Over half way to your goal. Nice one guys. I have some concerns with the kickstarter. What are you guys going to do to ensure you reach your goal because I see the amount goes up less and less each day and will probably only jump again when you are mentioned on a popular news site. Holding thumbs for you guys and good luck! The rule of thumb is that you double your first two days on your last 4. Thats awesome! Thanks for the insight @bischonator, it gives a bit more insight into it and will definitely keep an eye on your kickstarter. Latest update video mentions that Mick Gordon is helping on the soundtrack!!! Also, super interested in how Starcontrol 2 influences the design. It might still be my favourite game ever (certainly my favourite game experience ever). I think that Nic and I have pretty much been wanting to build a Star Control 2 style game since we knew we wanted to make games. Its certainly that sense of exploration and vastness of space that we are going to try to capture in the game. Star Control had a sense of scale that I haven't seen reproduced in other games. Starcontrol 2 does have some RPG elements in it, if a-typical ones. One of the core experiences in Starcontrol 2 is being limited to a small patch of space at the start, and as you can carry more fuel and can survive longer against enemies (and later on know secret pathways) you can venture further and further from home. This mirrors the Fallout experience a bit, in that in Fallout at first the world near your starting point is very dangerous and very small, and as you grow stronger you are able to explore further and further. The world gets bigger and reveals more of itself to you, while your starting point seems tamer and tamer. There's obviously a lot more to Star Control 2 than being able to travel further and further away from home, but this does feel good, and it naturally guides the player to witnessing the stories in a sort of order. In that at first the world is characterized by the Spati and the Ilwrath who are being tricked into hunting the Pkunk, but it's clear these aren't the main players in the galaxy, then later on you meet the bird races that have split up and are feuding, and then eventually the Ur-Quan who turn out not to be the main villains, and after that the far off races who start to give you clues about how defeat the Kohr-Ah. I suppose gating the players' progress with adventure game problems can work similarly, and you can discover an ever more complex world, filled with split up tribes who accuse each other and tribes that are clearly hiding information or straight up lying. Though I do think overcoming nature in some way could fit in well into Beautiful Desolation. In some ways Star Control 2 was a precursor to survival games like Don't Starve, though Star Control 2's verbs and setting are very different. At the same time, even seen as an adventure game, Star Control 2 had elements close to something like Telltale's The Walking Dead. Like there are lots of choices and side quests that change the storyline, but aren't necessary to win the game. Befriending certain races don't advance the story, but unlocks for you options in combat (which can help of course). I recall feeling like trying to save the Pkunk was a bit of a moral choice, because they were so annoying, and there wasn't any obvious benefit to saving them other than to try be the hero. While in Star Control 2 the simulation was super basic, it still felt like a living world, as, more than most games before it, and since, the world did change significantly without player intervention. The world had agency. Most video game's worlds wait for the player patiently, in Star Control 2 they gave you a sense that things were going to proceed without you if you didn't keep up (and that was actually the case). I think that's one of the things that is special about the game, and it'd be rad if there was a bit of that in Beautiful Desolation. I don't think it's necessary to go as far as 80 Days, but I do think giving the world some agency of its own, that some things will happen that aren't the will of the player, would help to capture some of that Star Control 2 feeling. I say this because most Adventure Games just wait for the protagonist to solve the problems. P.S. And I'm sure about this, Star Control 2 had by far the best Soundtrack of its time. Easily the Doom 2016 of 1992. 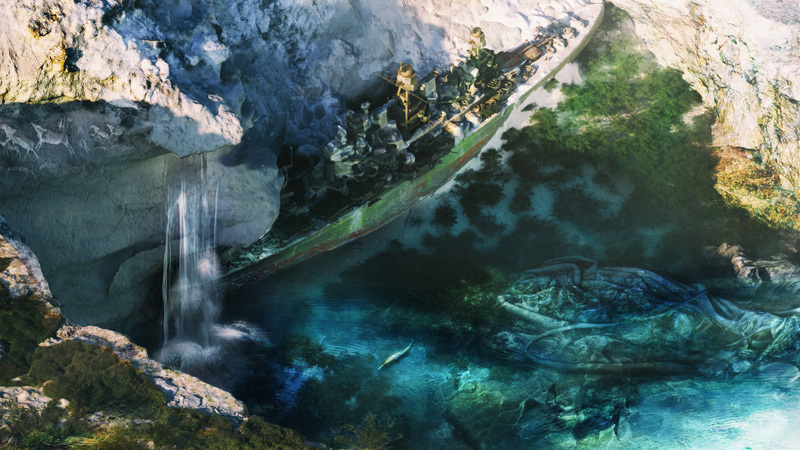 We’ve passed a great milestone - we wrapped up the vast majority of the 2D graphics in BEAUTIFUL DESOLATION! This means that all 85+ scenes, the conversational portraits, as well as the menu and item graphics are now complete. It was an immense undertaking, but Nic and I are pleased to have done so on schedule. 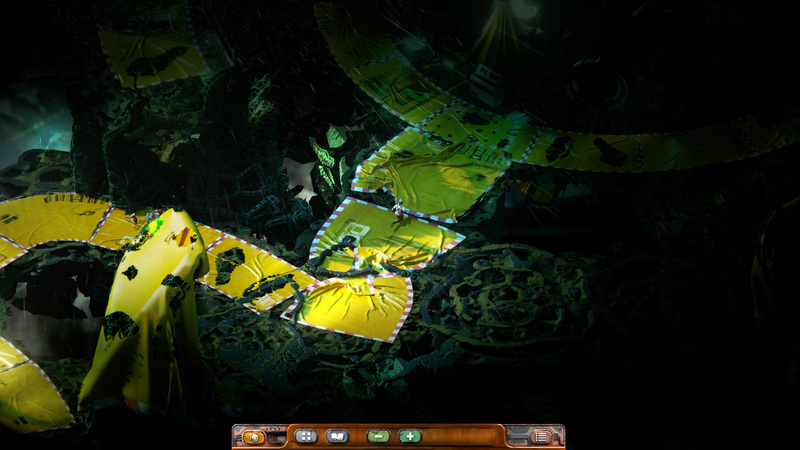 Focus can now be applied to the gameplay/puzzle hookup and cinematic implementation. We believe that the visual design of the menus should be indicative of the world, and the story themes that we want to invoke. The artistic style and interaction of each menu (and perhaps even the view the player has of them) belongs where it should in our storytelling in an attempt to immerse you in the world of BEAUTIFUL DESOLATION. DID YOU SEE THE LATEST SCREENSHOTS? 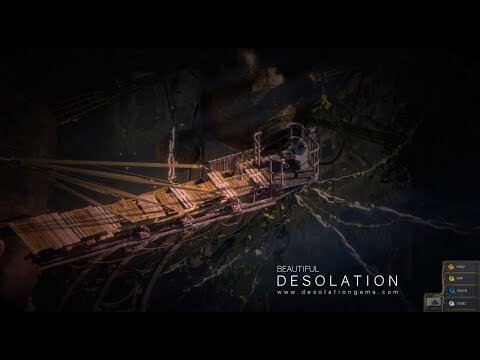 If you follow me on Twitter @stasisgame or our Facebook page https://www.facebook.com/desolationadventure/ you’d have had a peak at a few of our latest screenshots. 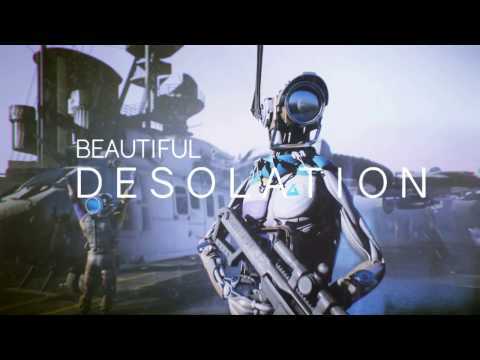 Let’s just say that BEAUTIFUL DESOLATION will look smashing at 4k / 16:9 or 16:10! A technocratic religion has sprung up from the ashes of the old world. 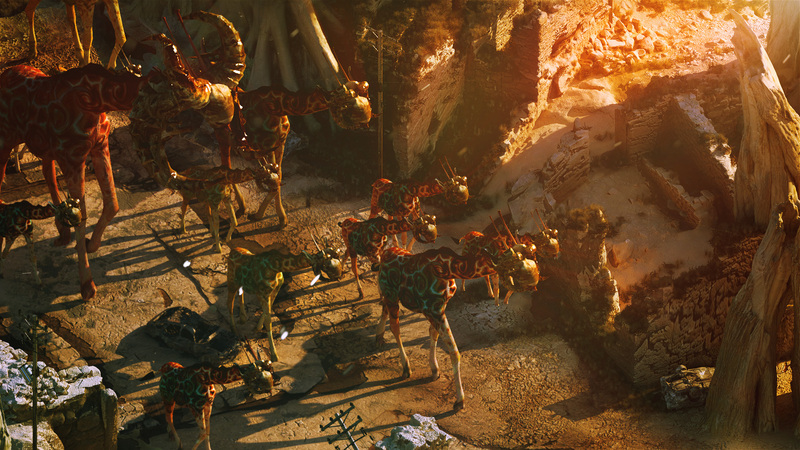 The ruins of the thriving BAAS civilization are now nothing more than a shell of twisted metal and vines. Mark approaches the Penrose in the dead of night during a raging storm. 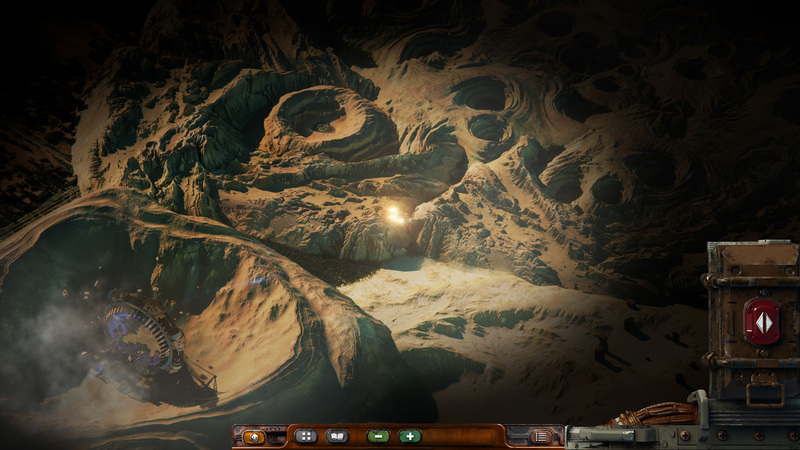 Navigate the world in your trusty (rusty) Buffalo transporter. 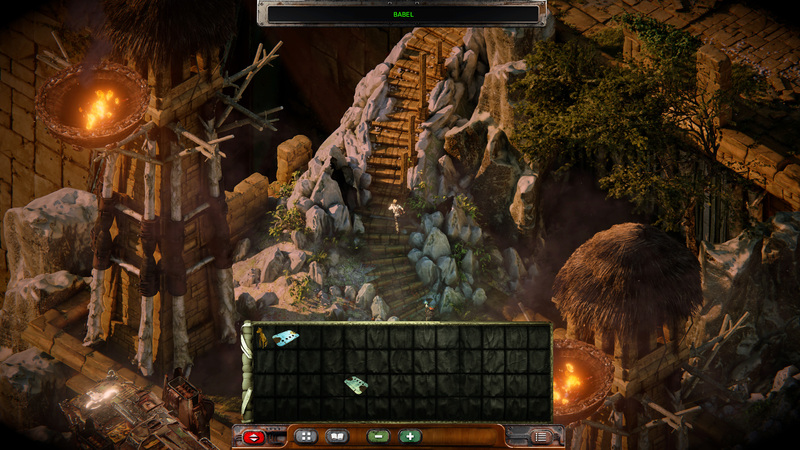 There are multiple maps to explore and many places to visit. In case you missed the news, Mick Gordon - the finest video game composer to wield a keyboard and amp - has joined our motley crew. Mick has produced some incredible musical tapestries for the world of DESOLATION and we can’t wait for you to be transported there, audibly and visually. "Mick Gordon is a composer and sound designer whose compositions aim to transcend the perceptual boundary between music and its context. Mick’s work considers the role of music as a translation of the world in which it exists rather than a simple accompaniment. Through creativity, interpretation and collaboration he develops a meaningful exchange between the visual world and music culminating in the authorship of a unified original work of art." Wish I had backed this earlier. Looking forward to it! I'm constantly amazed at how the two of you are able to push out so much artwork of the quality of AAA studios. We are always trying to up our game. Im working on the cinematics now, and its a challenge because I want to get as close to Digic/Blur quality as I can...but hell, nothing worth doing is ever easy!